Prompt corrective action is a mechanism that will be forced by the Reserve Bank of India up on banks that shows sign of stress. GDR = Global depositary receipts. Global depositary receipt is a bank certificate issued in more than one country for shares in a foreign company. As per the Reserve Bank of India, ARCs must have the minimum net Corpus of rupees hundred crore by 2019. 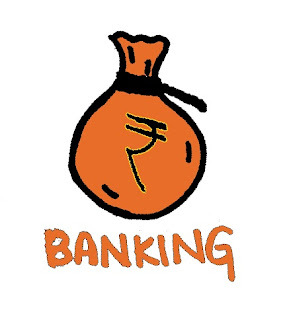 The minimum capital required for small finance bank is hundred crores. The minimum compensation offered under the banking ombudsman scheme is rupees 20 lacs. Cheque truncation system is a cheque clearing system undertaken by the Reserve Bank of India for faster clearing of cheques in 2010. The international Finance Corporation is an international financial institution that offers investment, advisory and Asset Management services to encourage private sector development in developing countries. The Government of India has changed CII base year from 1981 to 2001. Cash reserve ratio is the percentage of cash deposits that banks need to keep with the Reserve Bank of India on a fourth nightly basis. The headquarters of SIDBI is located at Lucknow. Payment banks are not permitted to issue loans and credit cards. The non Banking Finance Companies are allowed to accept or renew public deposits for a minimum period of 12 months and the maximum period of 60 months. The head office of Standard Chartered Bank is located in London, UK. Using SBI mingle, the bank customers can do a host of banking services on Facebook or Twitter accounts at their own convenience.